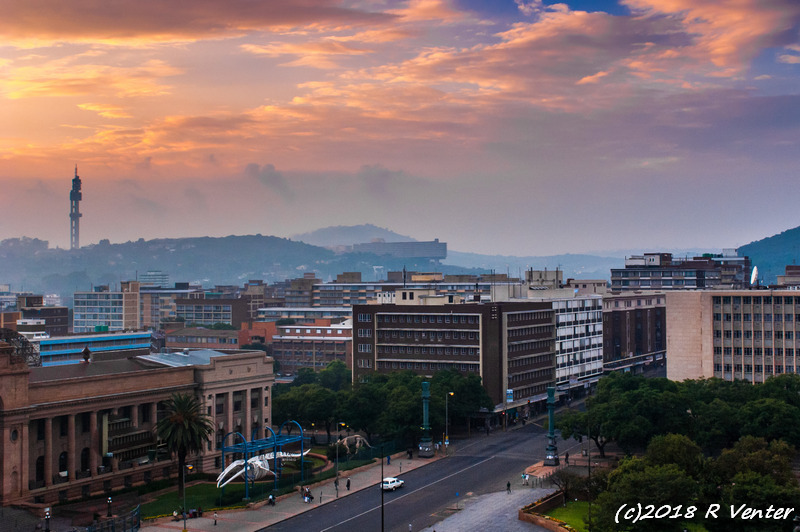 An early spring foggy sunrise over an old part of the CBD in Pretoria, South Africa. Nice perspective to show some of the town, but allowing the eye to escape onwards and upwards to the distant vista of the mountains and sky! Quite the contrast with the buildings so symmetrical and then the softness of the sky. Pretty clouds!